Dynamo picks up Ubuntu brief, AstraZeneca comms chief moves to materials company, Energy firm Eneco makes comms head UK chief and more from PRWeek UK. Dynamo PR has been taken on as the retained UK agency for Ubuntu, an open source software platform for PC, tablet, phone and cloud. 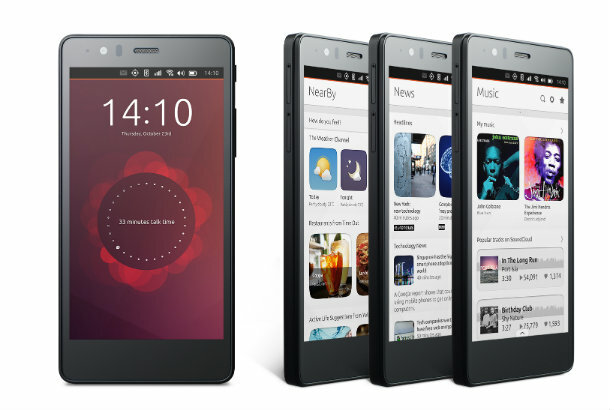 Ubuntu's operating system is used in both consumer and b2b computing. Dynamo will advise on events and opportunities that "highlight Ubuntu's many uses to a consumer audience and focus on expanding awareness of the number of different platforms it runs on", the agency said. Dynamo was hired by Canonical, the firm behind Ubuntu, following a four-way pitch. Building materials manufacturer LafargeHolcim has appointed Caroline Hempstead as head of comms, public affairs and sustainable development. She joined on 1 December reporting to chief executive Eric Olsen, having previously been in charge of AstraZeneca's global corporate affairs team since 2007. Before that she worked in oil at Royal Dutch Shell and also has corporate affairs experience in financial services and retail. Zoisa Walton, currently head of comms and public affairs at Dutch renewable energy firm Eneco, will become its UK country manager on 1 January. Walton began her career in PR at Freuds, going on to work in various positions at Ware Anthony Rust, and then became managing director at Mistral PR before moving to Eneco in 2010. Jon McClay will become London director of marketing, comms and business development at Baker & McKenzie – which is consistently ranked as one of the world's three biggest law firms – in the new year, after leaving his current role at Freshfields Bruckhaus Deringer. Click to read the full story. Bernard Hughes will join the Jewish Leadership Council as director of external affairs on 4 January 2016. Hughes has 25 years of public affairs experience including senior roles at Tesco and Walmart and as a director at Edelman. He is currently director of comms for the Green Deal Finance Company. The media platform UNILAD has appointed Manifest London to establish the brand as the "go-to platform for ‘shareable and relatable’ content for Generation Y", according to a release from the agency. UNILAD achieves 100 million page views per month. The work will be assisted by Manifest's US team in New York, where UNILAD is also popular. London's Incisive Health has taken on new account director Amna Ahmad, formerly of Open Road; new account manager Susannah Cleary from the British Medical Association, and account executive Aalia Kazi, who joined from the firm's internship programme. Ahmad left Open Road in January to stand as a Liberal Democrat candidate in Streatham, south London, in May's general election. The firm was founded in autumn 2013. Sauce Communications had been appointed to handle PR for the Relais & Châteaux Association, a collection of more than 540 independently operated hotels and restaurants across the globe. Sauce will work with director of comms Isabelle Mical after succeeding at the six-way, competitive pitch. Edinburgh and London comms firm Charlotte Street Partners has appointed two new associate partners. Jo Nove joins from consultancy Greenhaus today, while Laura Leslie – who has been on secondment from the bank TSB for a year – formally joins in January.